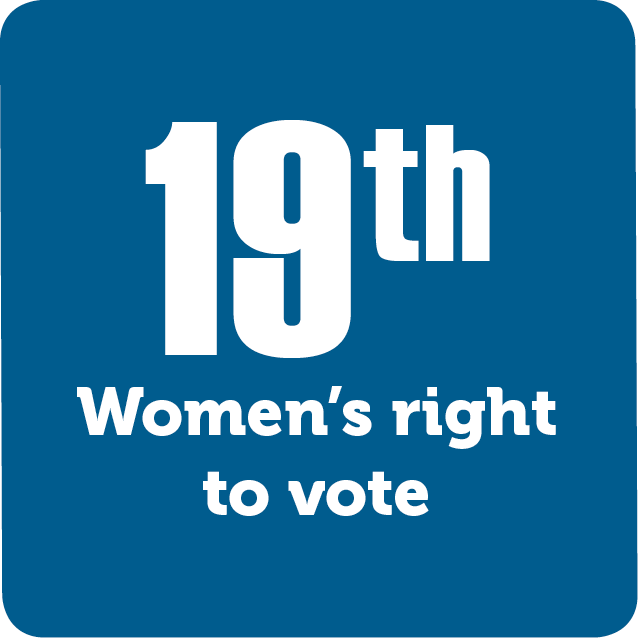 In 1920, the states ratified the 19th Amendment to our Constitution. This amendment gave women the right to vote. The political and social battles that led to this amendment are known collectively as the women’s suffrage movement. By the early 1900s, this movement was long underway. But in this Progressive Era, women’s suffrage became a major political issue. There were two main groups fighting for the vote: the National American Woman Suffrage Association (NAWSA) and its offshoot, the National Woman’s Party (NWP). Both groups worked tirelessly to promote the voting rights of women and found success with the Nineteenth Amendment.